This post is a continuation of the story of Anne Sewell Longfellow and her Grazebrooke ancestors. We started off in the previous post around the year 1200 and followed succeeding generations of Grazebrooke men. Only one female name was mentioned in the first three hundred years of their history, and that was a sister of one of the heirs. Each of the ancestors so far has been the heir to the estate. At the beginning of the 16th century, John Gresbrooke of Shenston has two sons, confusingly both named John. 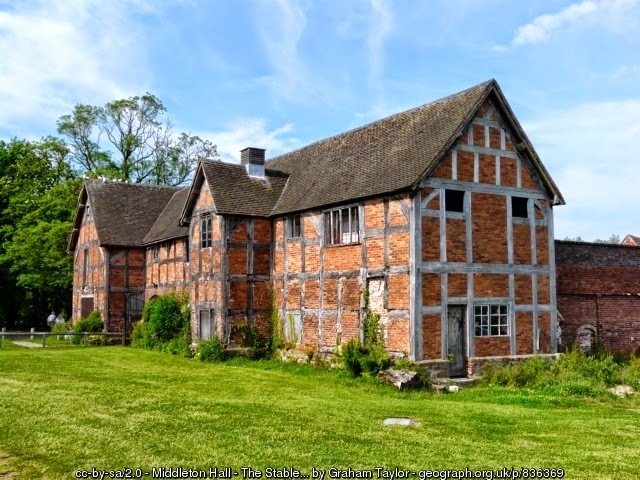 The elder inherited the Shenston lands, they younger was given a house, Stoke Hall, and property in the parish of Middleton, Warwickshire. Stoke Hall was said to be some 6 miles from Shenston. Anne's ancestor was John the Younger of Middleton. We don't know when John was born or who his mother was. His older brother got his estates in 1506, by which time he had to have been at least 21, if not older. So, he would have been born by 1485. Obviously, the younger John came after that. 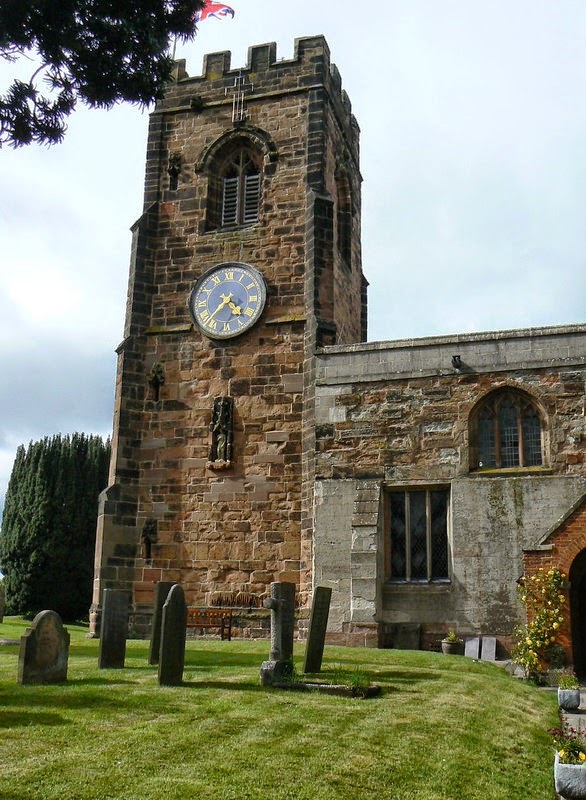 He was living in and paying taxes in Middleton in 1523. King Henry VIII sat on the throne of England and was still happily married to Katherine of Aragon. The golden age of Tudor England was underway. The country was still a Catholic nation but the Protestant Reformation was underway in Europe and the stage was set for its development in England. john's will John was married to a woman known to us only as Isabel and they had at least seven children. We know of these children because they are named in the wills of John and Isabel. In his will, written in 1540, John first looked to the care of his eternal soul, calling on Almighty God, Mary and all the Company of Heaven. 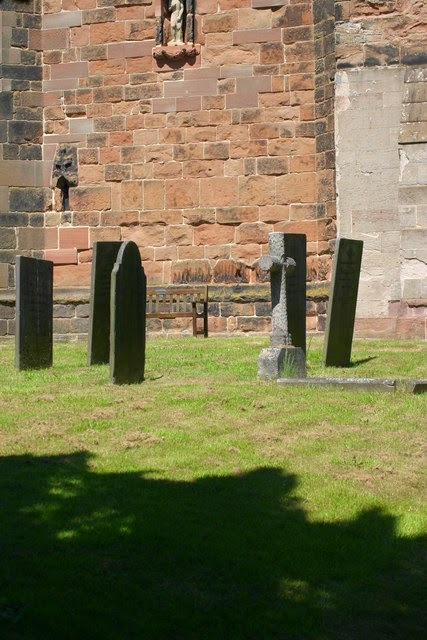 He asked to be buried in the churchyard and left a bequeath of 2s to the Church for good works. The wording of his will sounds like someone who still holds to the Catholic religion. In 1540, Anne Boleyn was dead, King Henry had broken with the Pope in Rome and was on wife number five. Many changes were being made to the Church of England as it made its transition to a more Protestant position. beds and blankets? The first family member named in John's will was his son Henry. He was left money, specifically 6 pounds 12s and 4d. This strikes me as such a odd amount, I wonder why. Next up was his son Alverey. He got a bed, mattress, pillow, sheets, blanket and a coverlet for the bed. It sounds like Alverey was getting the short end of the stick here, but he's not. These items were very expensive and they quickly add up to more than what Henry was getting in money. Son Hugh got only 11s. Isabel his wife remained in control of John's lands and buildings. He made specific bequeaths of hay, cows, meadow land, orchard, and something called the gryndletone yard for milking in. He willed Isabel enough timber to build a fireplace in her chamber and new door to her chamber that opened onto the woodyard. She was too have wood at Alverey's expense. Alverey is also made responsible for all rents and duties to the King and the Lord. John then bequeathed to Alverey all the 'implements of husbandry'. Yoke, tumbrell ( a cart), tools and oxen. Clearly Alverey was getting the lion's share of the estate. One of the last things he spelled out in his will is that if his wife cannot use all the land he has given her that it is to be used by Alverey and no other man. Robert Hylley was left an ewe, he was married to one of John's daughters. Noticeable left out of the will was anther son, John. John died two years after writing his will. Isabel wrote her will in March 1550/1, the third year of the reign of Edward VI of England. Edward's brief rule saw the full implementation of the Protestant faith. Her will declares him, our most sovereign lord King Edward VI by the grace of God, King of England, France and Ireland, defender of the faith, and of the Church of England and of Ireland, immediately under Almighty God, in earth, the supreme head. Wow, that's some title. After entrusting her soul to God and requesting to be buried in the churchyard, she begins to parcel out her belongings and the very first person named is her son John, who was left out of his father's will. To John she gives four of her best cows, her grey horse, and her best chest and all its contents. John is also to have Isabel's bed and all its bedding, a little brass pot, and all her corn and hay. To Alverey she gives her oxen and two and a half yards of flaxen cloth. She also asks him to be good to his brothers and sisters. Son Robert gets a great hanging pot, a meat board, a kneading trough and something called a curved wyche, which seems to have been a chest of some sort. Henry gets two cows, a brass pot, a white pan and a great maslin pan. Next up, Agnes Jones, she gets John's bed and some clothing. Isabel makes bequests to her other daughters Elizabeth Hylle, Margaret Shurrock. The remainder of her goods were to be split between John and Henry who were also to be her executors. What amazes me about these and other wills from this period is the value of everyday items. John and Isabel were not poor people. They were well off, and yet they gave out their pots and pans like they were made of gold. Isabel makes bequests of her hats and her hose, blankets and sheets. Today we just throw that stuff out. Maybe I'll will someone my underwear, that will shock em'. It would seem by John's exclusion from his father's will and his inclusion in his mother's, that all was not well in this family. In 1552, two years before his mother's death, John sued Alverey in the Court of the Star Chamber. According to Wikipedia "the Star Chamber was established to ensure the fair enforcement of laws against socially and politically prominent people so powerful that ordinary courts would likely hesitate to convict them of their crimes." Whatever the outcome, it must have saddened Isabel to see her children turn on one another. Not much else is known about John, if he left a will it has not been found. Alverey is said to be the second son of John and Isabel. I'm not sure how we know this, but it seems to be the accepted story. He was obviously the favored son and heir of his father's estates. Alverey not only inherited but improved on his father's estate, and styled himself a Gentleman. Like every other Gresbrook who came before him, his birth date remains a mystery. He must have reached his majority by 1540 when his father wrote his will, so he was probably born by 1520 if not by 1515. We know he was married by 1550, as his wife was named in his mother's will. Alverey and his wife, Margaret Keene, had at least four children, all daughters. Their births are also not recorded. This was an interesting time in England. King Henry VIII had died in 1547, his sickly Protestant son had inherited the throne but died six years later. His unfortunate cousin Jane Grey was crowned but Princess Mary quickly put her in the tower and removed her head. Queen Mary sat on the throne for a short five years, during which time she brought Catholicism back to England. With her death in 1558 and the reign of Queen Elizabeth I the county reverted back to a Protestant nation. Alverey's will and inventory tell us a lot about his life. The house had multiple rooms including a hall, parlor, a chamber over the parlor, a kitchen, a parlor next to the kitchen, a napperie ( I think this was where they kept linens), a buttery where they kept 7 silver spoons, a gilt salt cellar and pewter. The house also included a maids chamber, a gallery, another chamber called the new chamber. There was a dairy house, a bolting house where they sifted the ground meal, a malt house where they brewed ale and a kiln chamber. The kiln was used to toast the dried barley for making beer. There was a barn and a husbandry where the farm implements were kept. We also know from the will that there was glass in the windows and wainscoting in the parlor. The farm included all manner of animals from cows, pigs, sheep, horses, oxen, and steers. Alverey's will also mentions the 'corn crop'. 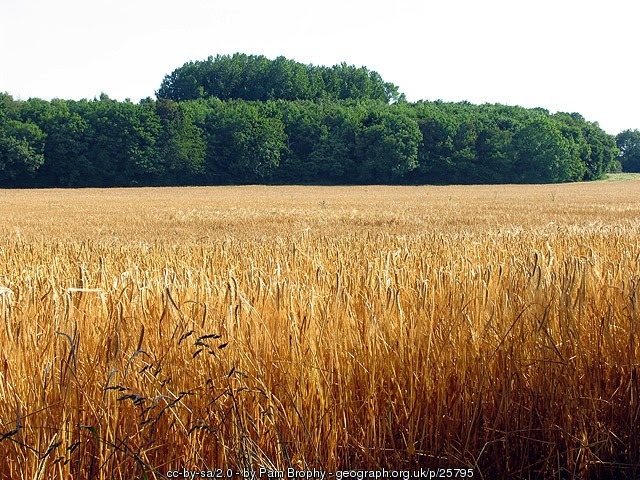 Corn was a generic word for all types of crops such as wheat and barley. They did not grow corn as we know it in England at that time. It was a self contained little world. What a shame that Alverey did not have a son to inherit it. A greater shame is that Stoke Hall no longer exists, so all we can do is try to piece together a picture of it in our mind. Alverey could not, would not give his property to his female children. His heir was Robert Gresebrooke, the son of his brother Robert. In his will Alverey spells out that his heir is not to vex, trouble or molest, Sir Francis Willoughby, Knight or his heirs, for any part or parcel of ground. If Robert does anything to upset Sir Francis then all the rights and title to Alverey's lands in Wisshawe shall be cease and void and will revert to Alvery's daughters. Sir Francis Willoughby was Lord of Middleton Manor. It seems that Alverey leased land from him in Wishaw and Moxhul as it is known today. Alverey and Margaret had four daughters, Margaret, Anne, Prudence, and Marie (Mary). 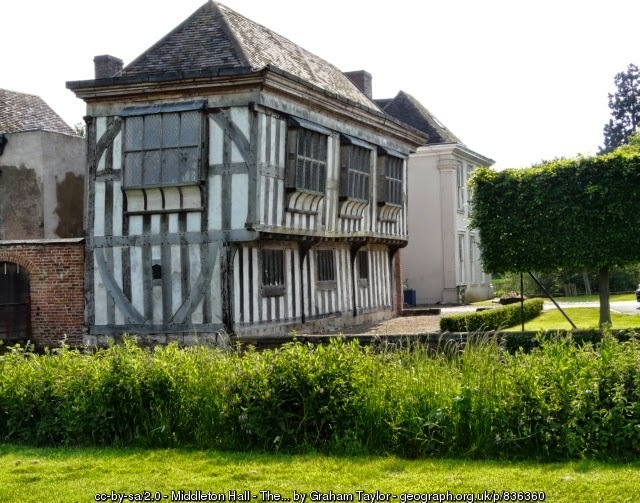 Margaret Greysbrooke married Henry Sewell before 1575, as Henry is named in Alverey's will. And so begins, the Sewell line, which will be a subject of a future post.